Wether you feel like wearing your hair down or up, I have something for you. My spring hairstyle suggestions don’t require the use of hot tools (unless you really want to, then please use a heat protectant). In fact, embrace your natural hair texture and let your hair dry naturally. You can add a dash of sea salt spray to add volume and texture if you prefer. 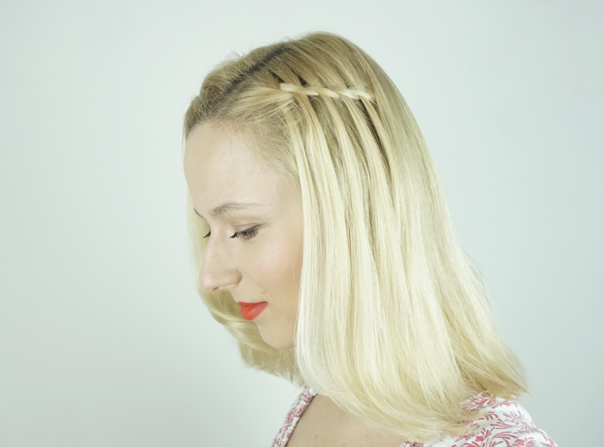 Once you know how to do it, it’s a really simple way to add a cute accent to your hair. 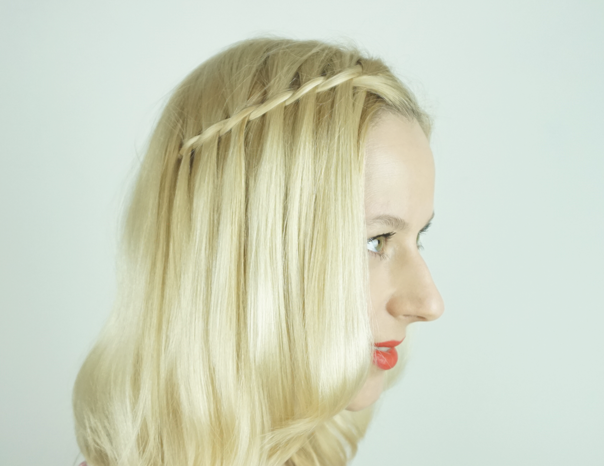 Pick up a piece of hair near the parting and divide it into three strands. The two strands closest to the hairline will form the twist. 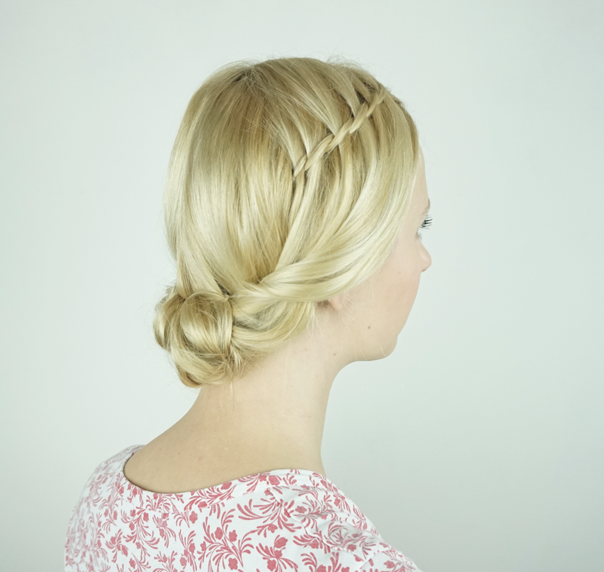 Start by weaving the back strand through the two lower ones and let it go. Then twist the remaining strands by crossing the back strand over the front one. Then pick up a new piece from the back and weave it through the two strands, let it go and twist them again. Continue repeating steps 2 and 3 until you get to the back of your head. Secure the twist with a clear elastic. 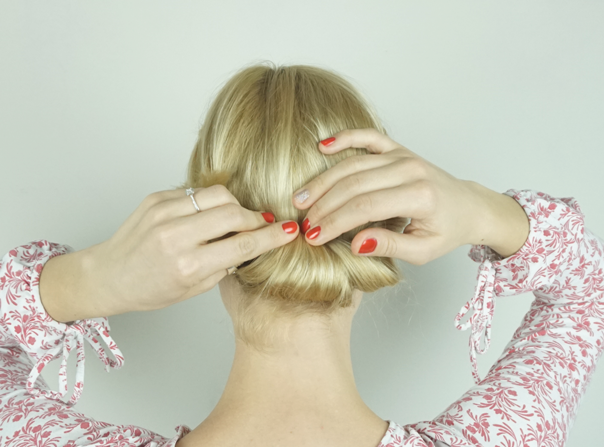 Now you can either pin the end with a bobby pin underneath some hair in the back, or you can do what I did – pick up a thin strand from underneath the hair in the back, and tie it together with the end of the twist using another clear elastic. This way the twist will just disappear in the hair. 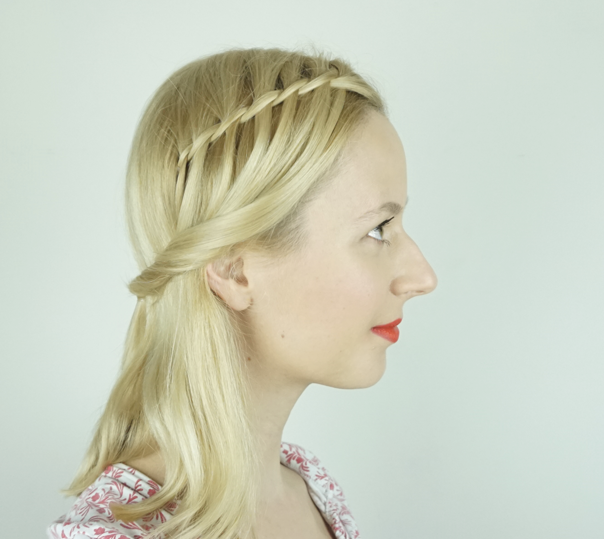 If you prefer getting all of the hair out of your face while still wearing it down, you can transform this into a cute half updo in one simple step. 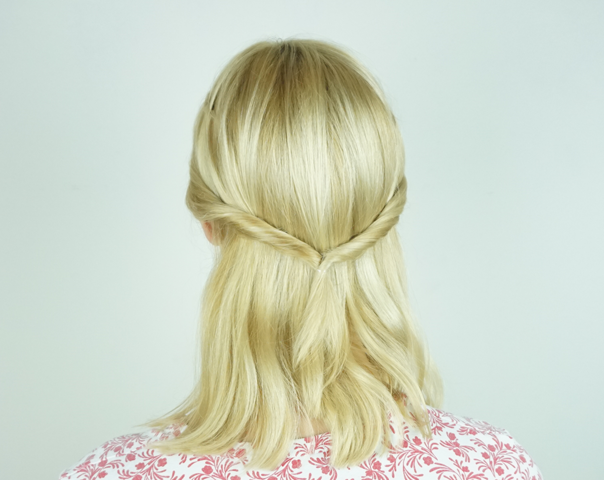 Gather the hair above your ears on each side (below the waterfall twists) and twist it loosely away from your face, then tie together in the back. If you’re like me, you love up-styles and the elegance they give. 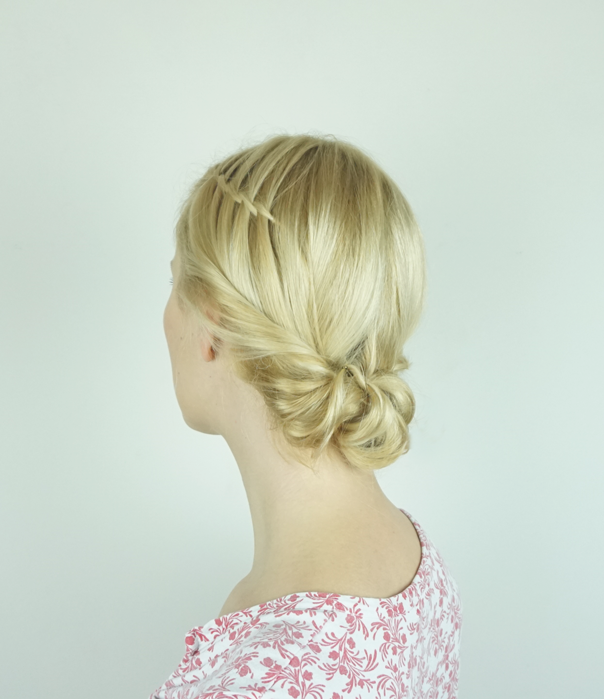 But for an everyday spring day, you don’t necessarily want to look like you’ve been trying too hard 😉 Transforming the above style into an informal updo is truly a piece of cake! So there you have it, based on the waterfall twist, you can create four different looks by adding one more step to the previous style. Which one is your favorite? See you next time! Have a fabulous hair day! 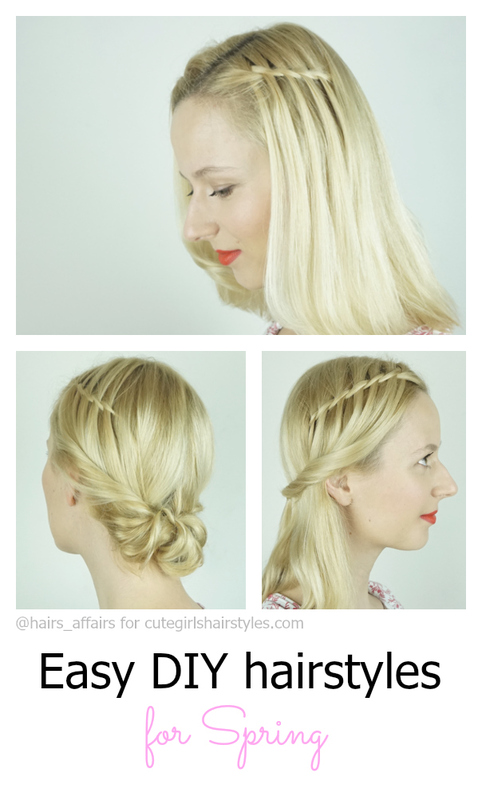 For more great hair ideas check out Hairs Affairs.